Precious metals futures moved little in the mid-week trading session Wednesday. 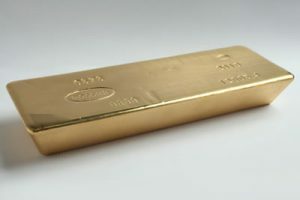 Gold drove its winning streak to four sessions in row to reach an almost two-week high. Gold for December delivery rose $3.30, or 0.3%, to end at $1,203.30 an ounce on the Comex division of the New York Mercantile Exchange. The finish was the best since Aug. 10. Although gold prices "have staged a solid rebound from the $1,160 yearly low, the outlook remains tilted to the downside," MarketWatch quoted Lukman Otunuga, research analyst at FXTM. "With the dollar poised to recover on heightened U.S. rate-hike expectations and safe-haven demand, gold remains vulnerable to downside losses." Gold futures ranged from a low of $1,199.20 to a high of $1,208.40. They climbed 0.5% on Tuesday and gained 0.9% on Monday. Ending lower for the first time in three days, silver for September shed 1.6 cents, or 0.1%, to $14.75 an ounce. Silver futures traded between $14.67 and $14.88. They climbed 0.7% on Tuesday and edged up 0.3% on Monday. October platinum inched up 70 cents, or 0.1%, to $793.70 an ounce, ranging from $788.40 to $801.50. Palladium for September delivery gained $8.20, or 0.9%, to $918.20 an ounce, trading between $900.20 and $920.40. Gold added $5.70, or 0.5%, to 1,196.65 an ounce. Silver added 2.5 cents, or 0.2%, to $14.81 an ounce. United States Mint bullion sales increased by 25,000 ounces in American Silver Eagles and by a 1,500 ounces in American Gold Eagles. Below is a sales breakdown of U.S. Mint bullion products with columns listing the number of coins sold during varying periods.